Note to self: NEVER AGAIN put your Argentium wire away, next to your fine silver wire!! Jeeze what an expensive and frustrating mistake. 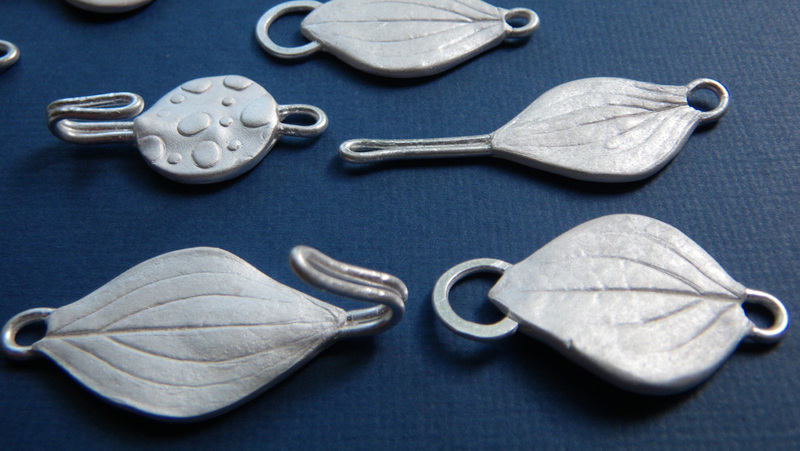 After two productive days of making toggle clasps, I had visions of spending some very happy time at my stringing bench. (Where I always keep my Argentium wire…I thought. Its on the other side of the room from my metal clay bench.) I opened the kiln and was shocked to realized that what I thought was fine silver wire had turned black and weak during the 2 hour firing. All of these bits broke off easily from their pieces. There was no resurrecting this mistake. AArgh! All my own fault too. When I looked at the coils of fine silver wire that I keep by my metal clay bench, I discovered a misplaced coil of Argentium silver in with the fine silver. I had not bothered to read the tag, other than to look at the gauge I wanted. From now on I will never assume that all of the coils of my fine silver wire are not partying with their silent sterling sisters while I am away. I was sure I had kept them separate….but I should have double checked. All was not lost, since the 16 gauge wire I used was most definitely fine silver. But boy, do I hate learning lessons the hard way! 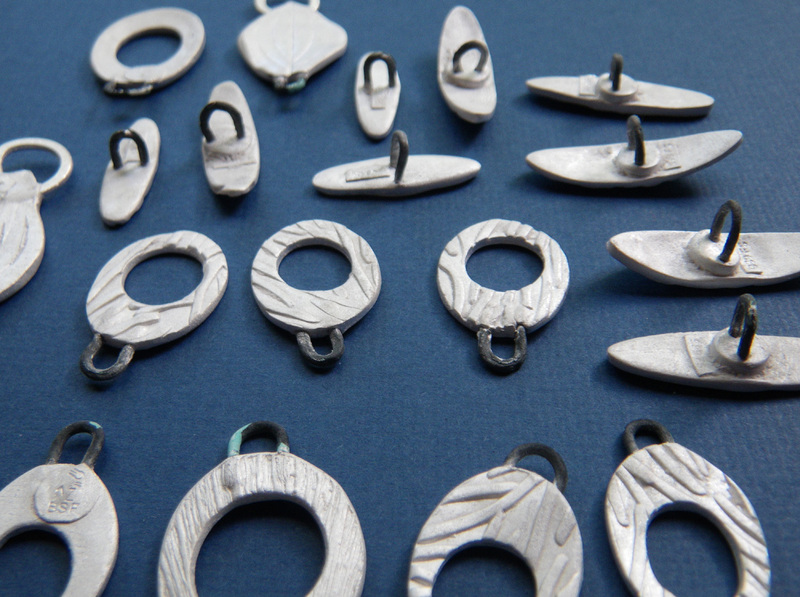 can you turn the toggle ovals into necklace elements? 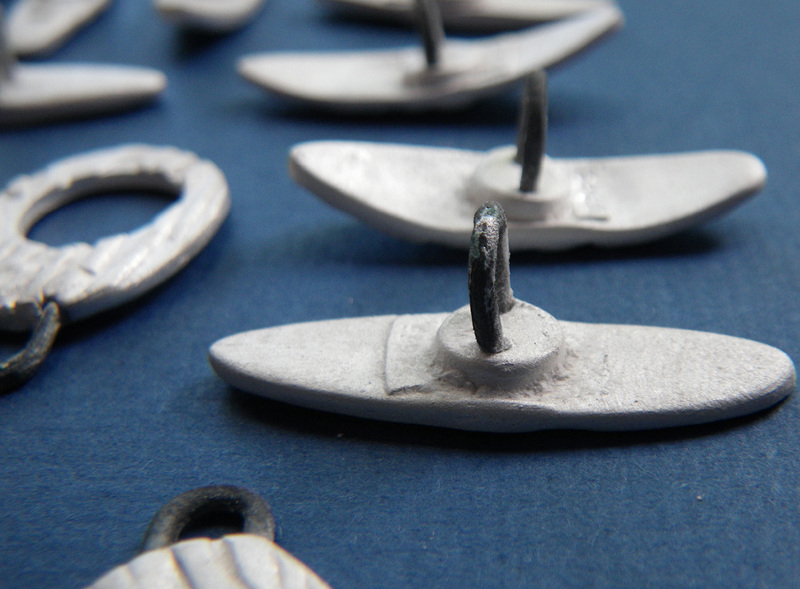 i don’t know what to offer for the toggle bars….. Thanks for the moral support, Holly! Yeah, the ovals will hang out for a little while so I can think about what I might do. I could always drill holes and then put a FS jump ring through and fuse it….. But, happy day! We’re going to Vermont with Marly and Angie in September!! So sorry Barb. Kind of reminds me of how much I learn from my mistakes too…As Chris would say, “Continue to march.” What other choice is there? Continue to march! I like it. Good advice. Ugh, I’ve made this mistake too. I hope you find a way to resurrect some of the pmc elements. At the very least I’ll send them back with my scraps for credit. I might think of something to do with some of them yet!